The Bills long-standing rival is the Miami Dolphins, whom they will play next weekend. However, there might be another rivalry stirring for this franchise, and that team also comes from the state of Florida. Duval County to be exact. Or should I say, DuvaLLLLLLL county to match their current 7 game losing streak. The Bills 24-21 victory had it all: trash talk, a fight, bloodied coaches. Here’s a look at the highs and lows from the dogfight in Orchard Park. Josh Allen is back. Oh you bet he is. His first quarter stat line was 4/5, 125 yds, 1 TD. Talk about returning with a bang! The rest of the way Allen did not have to do much through the air, but this was easily Allen’s best game in his young career. His touchdown throw to Foster is as good of a throw that you will see in this league. Standing in the pocket as he was about to get crushed by 3 players and delivers an absolute strike with ease. That is the Allen magic that we have wanted to see this year. He also had many great plays negated by penalties that will not show up on the stat line. Allen was decisive today both in the air and on the ground. In the 4th quarter he had a 45 yard run that rivaled that of Tyrod Taylor. He finished with 99 yards on the ground, a new single game record for a Bills QB. Another great TD run by Allen today, which brings his season total to 4. Allen was anything but trash today. His record as a starting QB is now 3-3, which is quite impressive considering the supporting cast he has around him. Isiah McKenzie and Robert Foster have had an instant impact on the Bills offense over the past two games. The Bills have made an effort to get faster on offense after Beane and McDermott realized a need and it has worked. Both players scored TD today and you can see Daboll starting to have fun implementing McKenzie and his speed into the offensive gameplans. McKenzie also provides a spark for the return game too, when they aren’t being penalized. The heart of this team was a man on a mission today, especially in the second half. Williams was instrumental in making sure that Bortles and the Jaguars could not get back into the game once the Bills took the lead in the 3rd quarter. Williams finished with 1.5 sacks today, his 13th career multi-sack game (at least 1.5 sacks in the game). Kyle spent some time considering his playing career after last season, let’s hope he decides he has one more year in the tank because it is an honor to watch him play every Sunday. What a response from everyone in the stadium after the Fournette-Lawson fight. If the place wasn’t electric already, it ensured that the place was going to become even more electric for the rest of the game. Say what you will about the craziness about Bills fans, but we show up. You wouldn’t have known the difference today between the crowd of a 3-7 team and a 7-3 team. You had a head coach with blood on his clothes after the fight. He wasn’t sure whos blood it was. Awesome. McDermott said it in his postgame speech, they don’t back down from anyone. THAT is Buffalo football. At times the game was very frustrating to watch with the amount of yellow on the field. Regardless of if we agree with the calls or not, the Bills have to get this cleaned up. Just a few weeks away from setting a franchise record for penalty yards against the Bears, this was not the showing McDermott was hoping for. (I remember people saying Rex’s teams had discipline issues…) The offensive line continues to hold back the offense, and even though it didn’t prevent the team from winning today, it will when they play a team with competent QB play and coaching. What the heck was that? Nearly 200 yards on the ground before halftime? I know running is the Jags plan for success, but the Bills were not prepared for that at all. They were being manhandled at the line of scrimmage. Knowing that Nate Hackett was probably not going to have Bortles win the game with his arm, they should have been more prepared to stop the run. By the time the second half came around, the Bills did a much better job at the line of scrimmage and were winning the physical battles up front, but that first half was ugly for them and the Bills 14-0 lead disappeared quickly. Frequent special team penalties, including too many men on the field? Come on. I have been on the record for quite some time saying that I am stunned how Crossman has survived two coaching purges in Buffalo. Oddly enough, his original boss Marrone was back in town today. I think McDermott really needs to make a change at the special teams coaching position next year since there has not been improvement in that group in terms of penalties and boneheaded mistakes for years. For the first time ever I am going to cross over to the opposing team to give a low. How can I not for this one? As I’m sure you’ve all heard, Jaguars cornerback Ramsey called Josh Allen “trash” back in August and said that the Bills wasted a draft pick on him, hoping he was their starting QB today. Well, Ramsey had a front row seat to watch said “trash” pick apart his defense through the air on only 8 completions and rush for 99 yards on the ground. If you are going to run your mouth, something Ramsey does often, you have to back it up, something Ramsey doesn’t do often. At least after the game Ramsey did find Allen and give him a handshake instead of ducking out. Because he quit on the Bills players, let them know via text message and we will never forget. This season has always been about Josh Allen and his development. Today proved to fans that maybe Josh Allen did need to sit for a few weeks as he was trending in the wrong direction before the injury. It also proved that some of the jaw dropping plays we saw from Wyoming can electrify a stadium full of people. Allen was the best player on the field today for the Bills, and that is what you want to say about your quarterback. The Bills never said that enough with Tyrod Taylor. With the offense becoming watchable, these games are becoming winnable. Maybe the Bills can put together a little run and make this season respectable while providing hope that they hit a home run with Josh Allen. Today was a home run. Today was not trash. 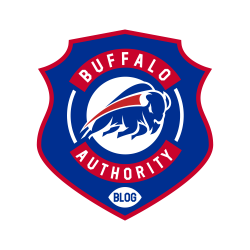 This entry was posted in Analysis, Game Reactions and tagged Bills Blog, Buffalo Authority, Buffalo Authority Blog, Buffalo Bills, Jacksonville Jaguars, Josh Allen. Bookmark the permalink.